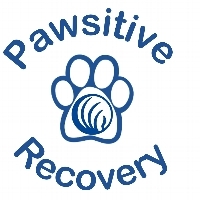 Join our team - PAWSITIVE RECOVERY - for the 2019 NAMIWalks event on Saturday, May 4th! We are walking to raise awareness of mental illness and raise funds for the important work of NAMI, the National Alliance on Mental Illness. We will be taking our NAMIWalks Heroes for a walk! Jack-Jack and Cusco - Price family Heroes disguised as a delightfully endearing pups - will be taking a hero-stroll at the Walk. BRING your PAWsitive friend and join us! If you can't join us - maybe become a Virtual Walker on our team -- Sign up on our roster and help support our team. Then take your pup (or other family member that enriches your life) out for a walk or enjoy a play session. Of course we would love you to support our team by making a donation to a team member listed on our ROSTER. Donations on this page are fast, secure and easy. All funds raised directly support the mission of NAMI to provide support, education, and advocacy to individuals and families right here in our community.